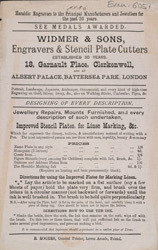 Despite the wide availability of other methods of reproduction, wood engraving remained the most popular medium for illustration during the 19th century. The process was relatively inexpensive, particularly after a fall in the price of paper and the development high-speed presses, which made it possible to produce large runs of illustrations. The images could be very detailed and a fashion for pictorial journalism developed from the popularity of the woodblock engraving.